It’s the last few days of our Big Halachah Sale, but there’s still time to save on over 50 titles on Jewish Law, including the Laws of Shabbos series by Rabbi Simcha Bunim Cohen. 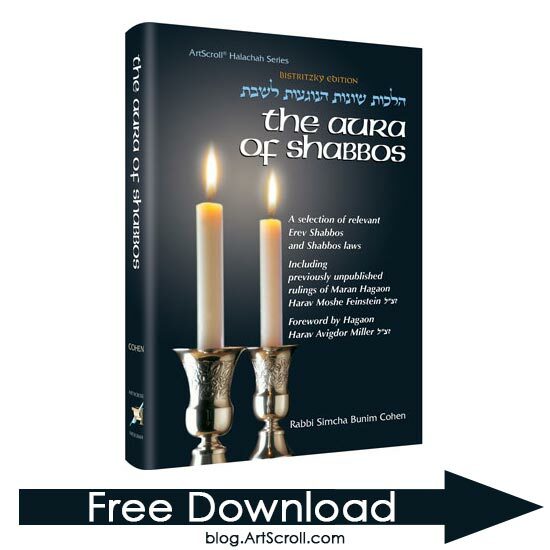 The newest volume in the series is The Aura of Shabbos. Examining the contemporary halachos/laws that relate to erev shabbos, shabbos preparation and more, The Aura of Shabbos provides an in-depth understanding of issues such as website maintenance on Shabbos, hotel stays on Shabbos, and more. This week’s free download offers you the chance to learn the chapter about Challah – the laws and obligations behind this special mitzvah. A suggestion: I would be very interested in many of these books if the footnotes were in English. As is, because I can’t understand them, I feel like if I bought them I’d be missing out on tons of fascinating information that I’m paying for.